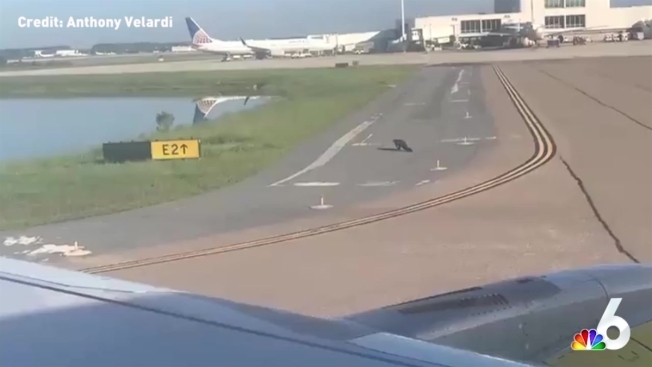 An alligator was spotted on the runway at Orlando International Airport. Video courtesy Anthony Velardi. Florida authorities are searching for two suspects after an injured alligator was dumped in a Wawa store. The Bradenton Herald quotes Manatee County Sheriff's Office spokesman Dave Bristow as saying the department was alerted to the alligator around 2:30 a.m. Friday. Bristow says the department was told two people had dropped off a three-foot alligator at the Lakewood Ranch convenience store.